Gucci Bamboo Eau de Parfum Gift Set | Gemma Etc. As a fragrance addict, I absolutely love the months leading upto Christmas as you can purchase fragrance gift sets for around the same price as an individual bottle with a few added extras, all wrapped up in a pretty gift box. 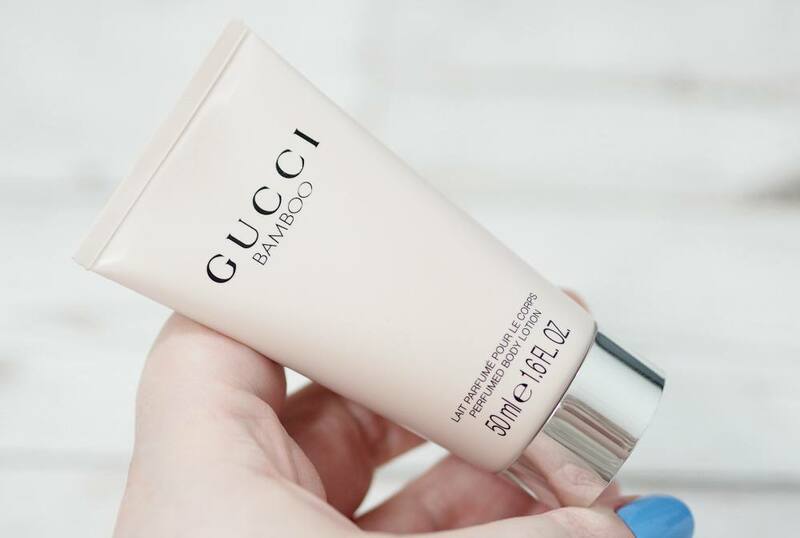 I had been dying to try Gucci Bamboo for ages as I’ve seen endless YouTube ad videos for it, and there’s been so much coverage within magazines too. 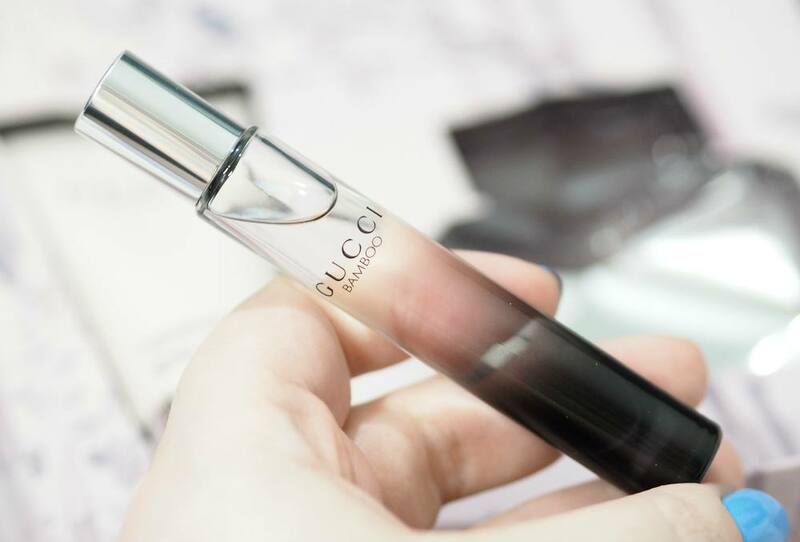 I already own Gucci Guilty, Gucci Rush and Gucci Premiere so it’s safe to say, I’m a big Gucci fan so I knew I’d love Gucci Bamboo after reading up on its notes online. Fragrance Direct have the most amazing fragrance gift set selection this Christmas for men and women, all of which have such great values compared to the price of the standalone fragrance and they obviously make for the perfect Christmas gift. 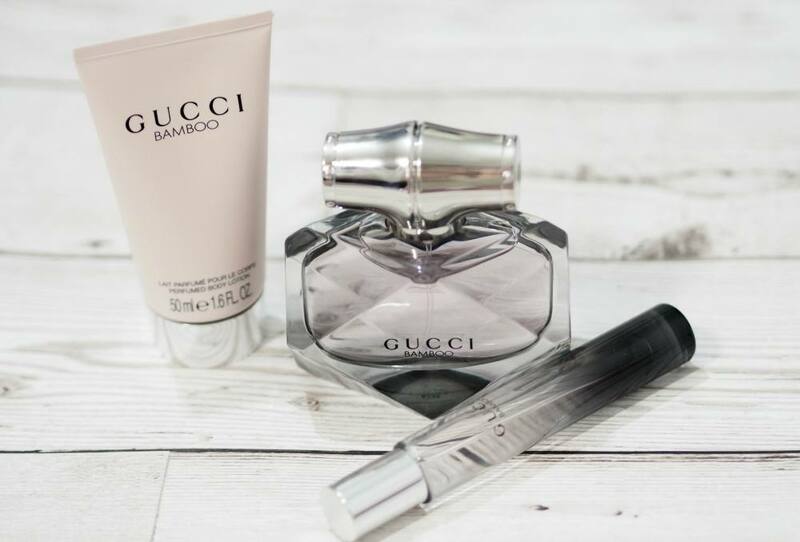 Fragrance Direct have the Gucci Bamboo Eau de Parfum Gift Set at £56.95, which includes a 50ml Eau de Parfum, a 7.4ml Rollerball and a 50ml Body Lotion. 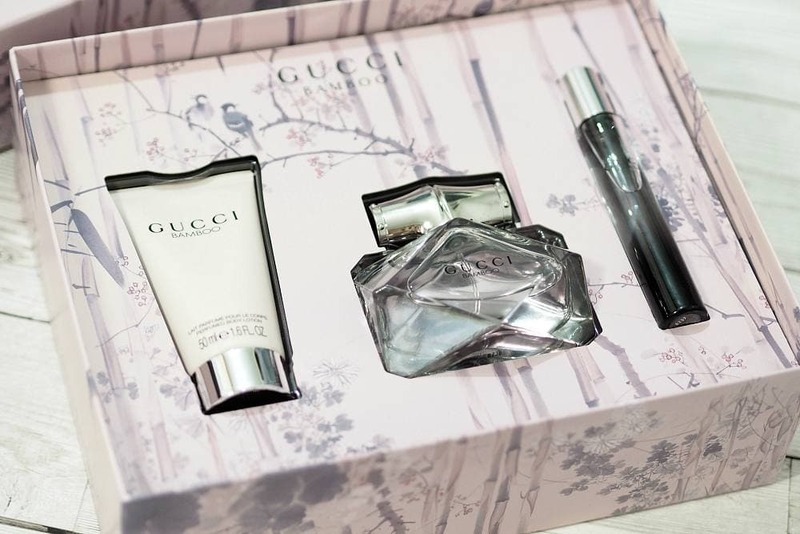 The Gucci Bamboo Eau de Parfum Gift Set is housed within the most beautiful muted pink, and grey gift box with a bamboo design which has pretty little birds sitting on the branches. I really like to reuse my giftboxes within my beauty storage, and I’ll be definitely be using this box as it’s far too pretty to just throw into the recycling bin. 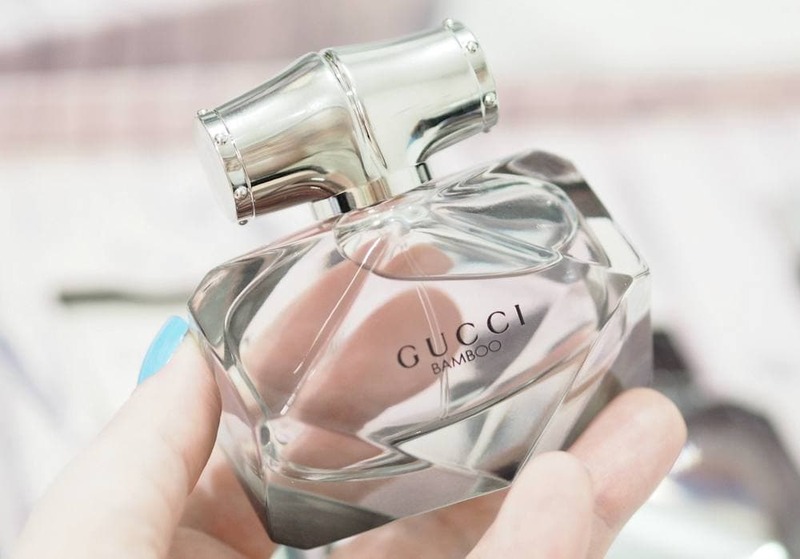 The Gucci Bamboo Eau de Parfum bottle is stunning, with a multi-faceted glass bottle complete with a bamboo style lid, and the rollerball within the set has a silver to dark grey ombré design on the bottle. Gucci Bamboo launched last year and was named after the already existing collection of accessories. The fragrance is said to reflect confidence and femininity, and was designed for modern women of character. It is a white floral fragrance with top notes of citrusy Bergamot, an heart of Ylang-Ylang, Casablanca Lily and Orange Blossom. Finally the base consists of Sandalwood, Tahitian Vanilla and Amber. With a name like Bamboo, I wasn’t entirely sure what to expect scent wise but I’m so pleasantly surprised and I really do think it suits its name perfectly. I’d describe Gucci Bamboo as being a very pretty, feminine scent which actually really reminds me of Giorgio Armani Si, but a little less sweet and a little more floral. As a gift idea, I think Gucci Bamboo would be a really safe option as in my opinion, there’s nothing not to like; it’s very likeable and last well on the skin. 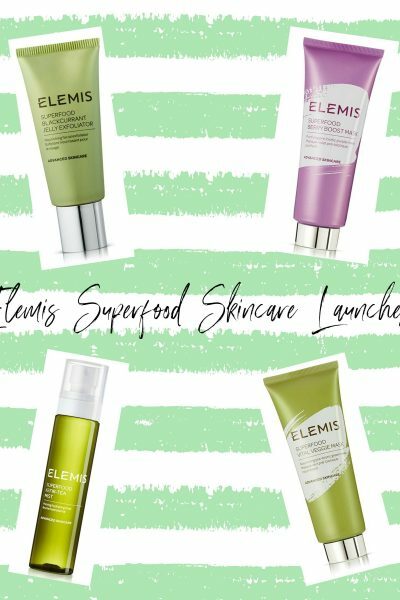 I love that this giftset contains a generous size bottle of the fragrance and a 50ml tube of the matching body lotion enabling you to layer your fragrance for optimal intensity but it also contains a 7.4ml rollerball bottle which is just perfect for throwing into your handbag. I really wish more brands would offer rollerballs of their fragrances here in the UK like they do in the US as it’s such a great way to be able to try a fragrance without the commitment of a full size without thoroughly testing it out. I think this Gucci Bamboo Eau de Parfum Gift Set is a gorgeous set and I imagine females of any age would be delighted to receive it as gift this Christmas.